Wales international defender Lauren Townsend has signed for Women's Super League Two club Yeovil Town after being released by Bristol Academy. 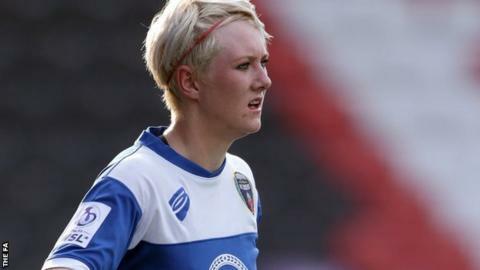 The 25-year-old former Cardiff City Ladies full back made 11 appearances for Bristol as the club were relegated from WSL 1 to WSL 2 last season. After joining Bristol in February, her contract expired on 10 December. Jamie Sherwood's Yeovil side finished fourth in WSL 2 in 2015, with 31 points from their 18 league games.